A guest post today brought to you by VKBMKLs fan, Ben English. 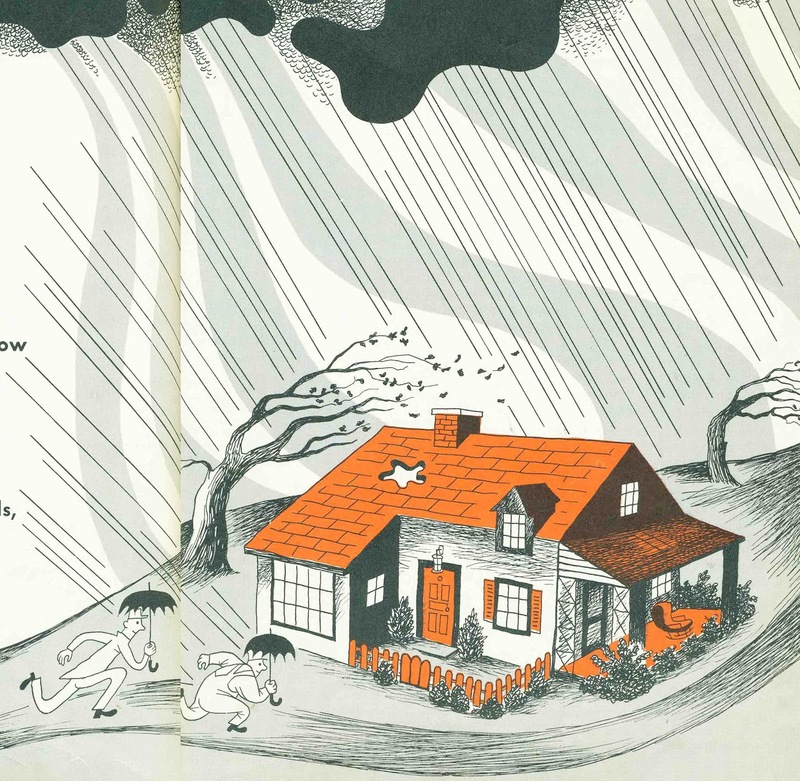 One of Margaret Wise Brown's earliest books (written under her pen name Juniper Sage) and illustrated by artist and former Clown College dean William Ballantine, I've never been lucky enough to score one for myself, so I'm happy to let Ben take the lead. Thanks, Ben, for taking the time to share this wonderful find with us. Welcome him! The stamp on the inside of this book says ‘Glenside School Library, Muskegon Michigan’, so I guess my grandfather must have swiped it while he was either the band director or administrator there back in the day. Or, more likely, it was a discard and was picked up in a book sale. The first possibility sounds better. Regardless, I've had this book for as long as I can remember and have always loved the pictures and simple text. 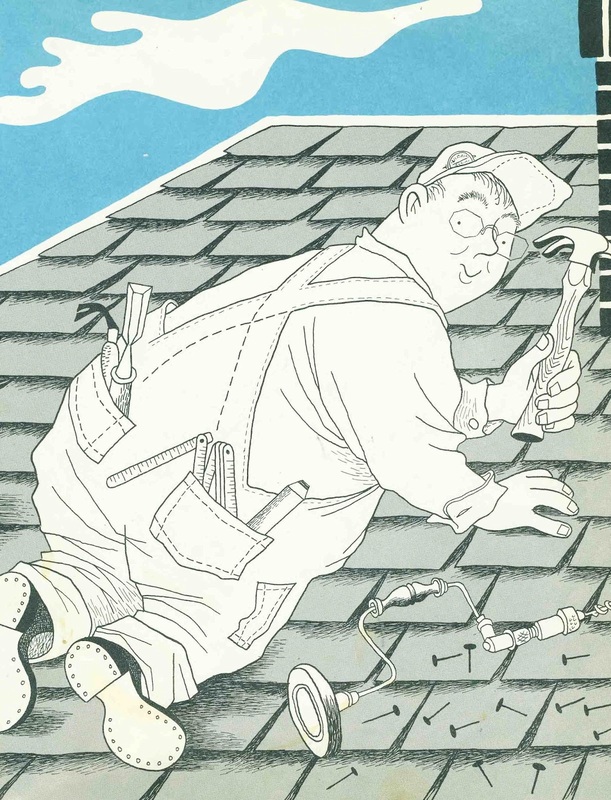 Picture books about occupations have their own special place in the history of children’s literature, and this one, while not especially informative, is easily one of my favorites. 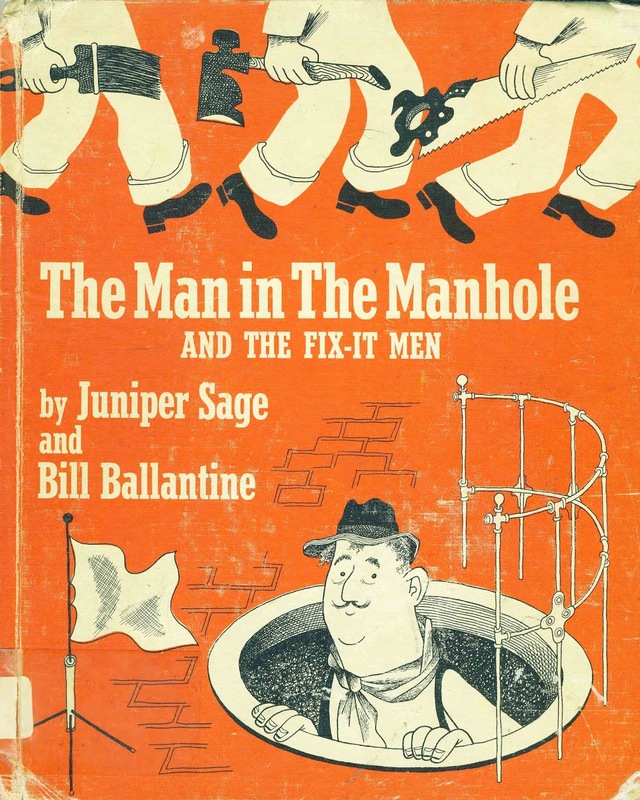 Fix it, fix it, where are the Fix-it Men? Or up in the air on a telephone pole. Fix it, fix it, here come the Fix-it Men. That’s the first paragraph and it pretty much sums up the whole story. 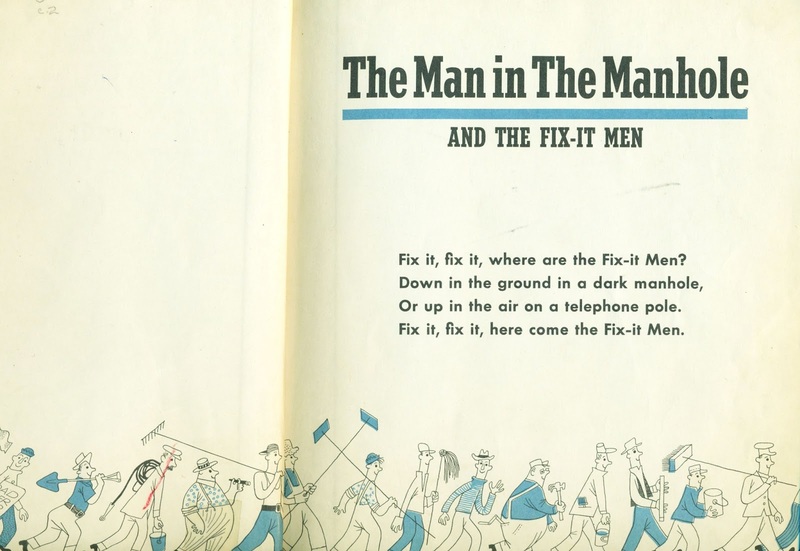 In wonderful mid-century style, the illustrations depict a variety of ‘fix-it’ men, including a telephone repair man, a wrecking truck man, a steam roller man, a carpenter man, and, of course, a Boss Man. There’s something I've always been drawn to about the way that picture books depict the big city and the various workers that make it run. Boiling down the complexity of a real city into a simple form and portraying everyone as pretty much content to do their job seems like a perfect sentiment to be found in a 1940s picture book. I can get behind that simplification and the optimism it presents, naive as it may be. As I said, I have always loved this book, but my appreciation for the simplicity of the designs and the charming approach to the subject matter has increased in recent years. (I wasn't even aware that $65 is about the cheapest price around for a used one these days). I’ll be hanging on to my heavily worn copy to share with my son in a year or two. Track it down through your local library’s Interlibrary Loan program, if you can! Wonderful! I'll be searching for a copy of this one. Thanks for the review. A dear friend found this book for me a few years ago and it is one of my great treasures. My name is Juniper Sage and it isn't often one sees 'their' name in print if it is unusual name. Thanks for this post, very sweet. This made my day. There's just something so comforting about watching happy people working their trade. Now,off to work (whistling). 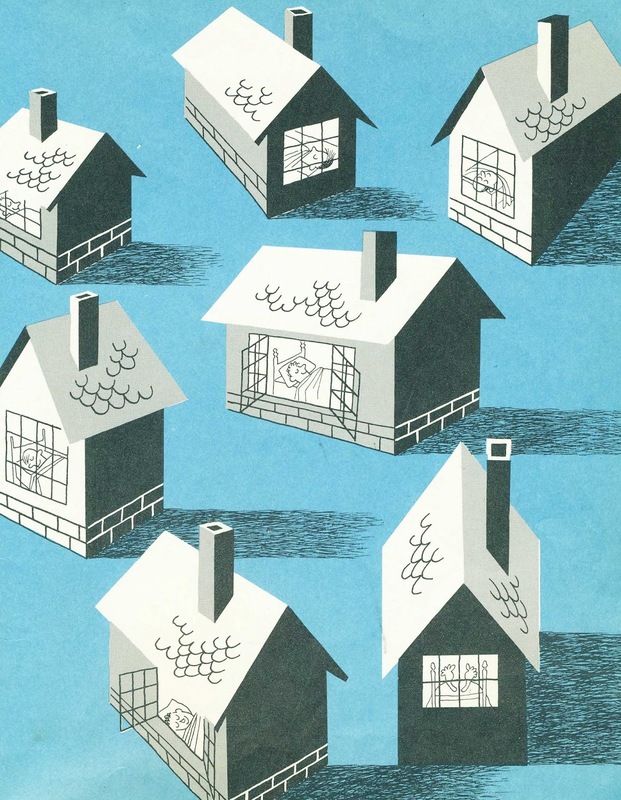 I was first mesmerized by this book in 1947 and its images lingered in my mind--in fact haunted me magically. A few years ago I was able to track down a copy (with a page missing). Just knowing it's on my shelf connects me with a time and a place otherwise irretrievable.